I spent last weekend on a farm in Buckinghamshire with a group of warm, friendly, inspiring women trying new crafts. It was the Hill View Farm Creativity Festival organised by Natasha Seidel at her home farm and supported by her lovely family and team. 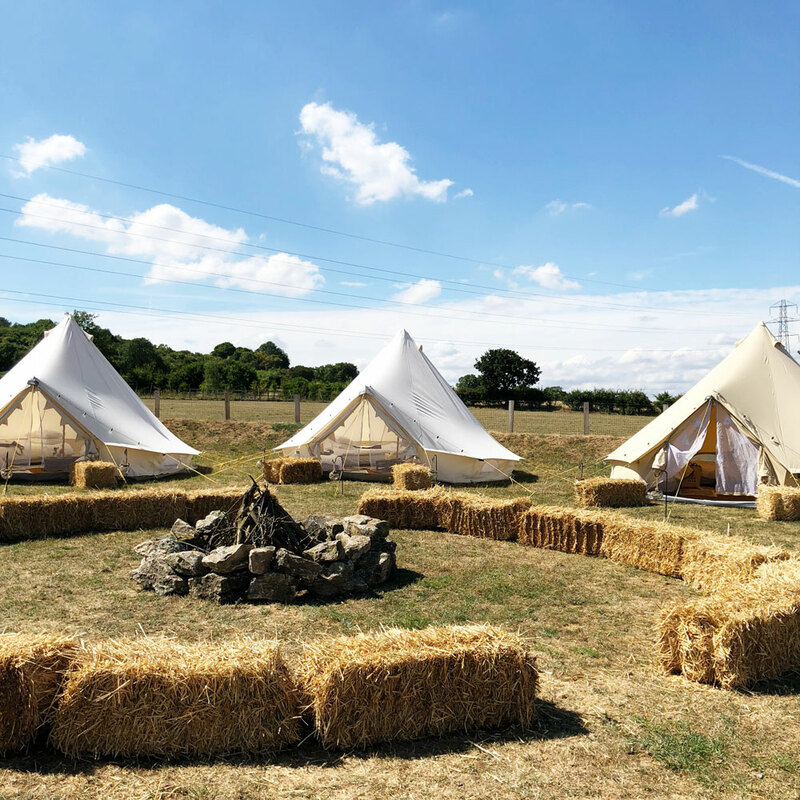 We camped in bell tents, ate delicious home cooked food, learned new creative skills and brushed our teeth while watching out for shooting stars. 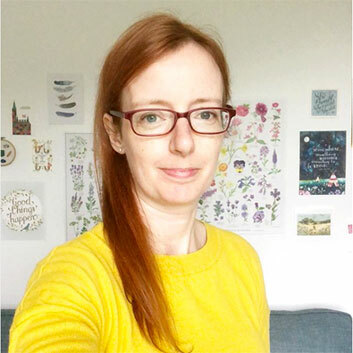 I started off the weekend on Friday evening by giving a session on the connection between creativity and wellbeing. 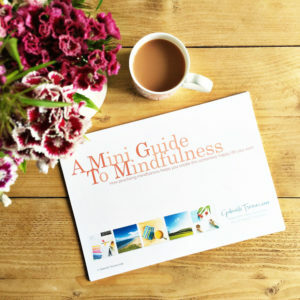 I shared how making time for creative activities that you enjoy, that challenge, fulfil and absorb you, nourish, calm and energise you, is a precious act of self-care. By allowing yourself to be creative you're better able to show up for your family, your friends, your work and the wider world because you're meeting your own needs as well as everyone else's. During the session we did a few writing exercises where everyone wrote about what creativity means to and does for them, and set intentions for what they wanted to do and how they wanted to feel during the Festival. We also took a couple of minutes to practice compassion for ourselves and others through a short loving-kindness meditation. My session was at the beginning of the weekend and I loved how over the following days I had many conversations with different people about what struck a chord with them from my talk and the exercises, I find it fascinating how different people pick up on different points because of what's relevant to them at the time. And I loved that several people said they would have loved me to do a closing, reflective session at the end of the Festival too! While I was at the Festival I got to take part in three workshops which I loved. 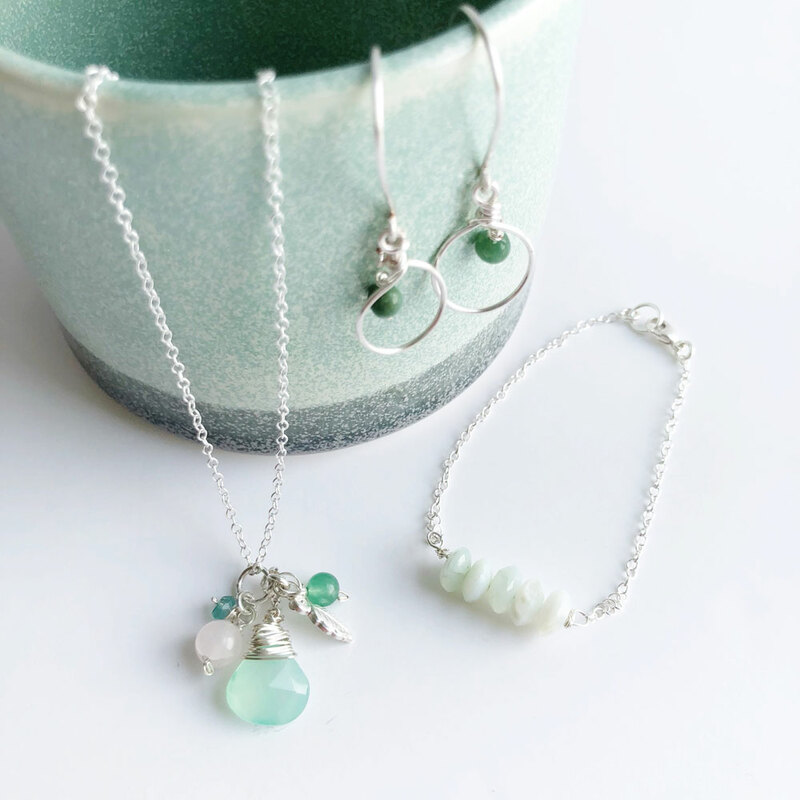 First of all I made a necklace, a bracelet and a pair of earrings with my friend Kate from Grace and Flora (you can read her Live Your Best Life interview here). It was her first workshop and she's a natural teacher so I think she's going to do more workshops, I recommend taking it if you get the chance to go to one. 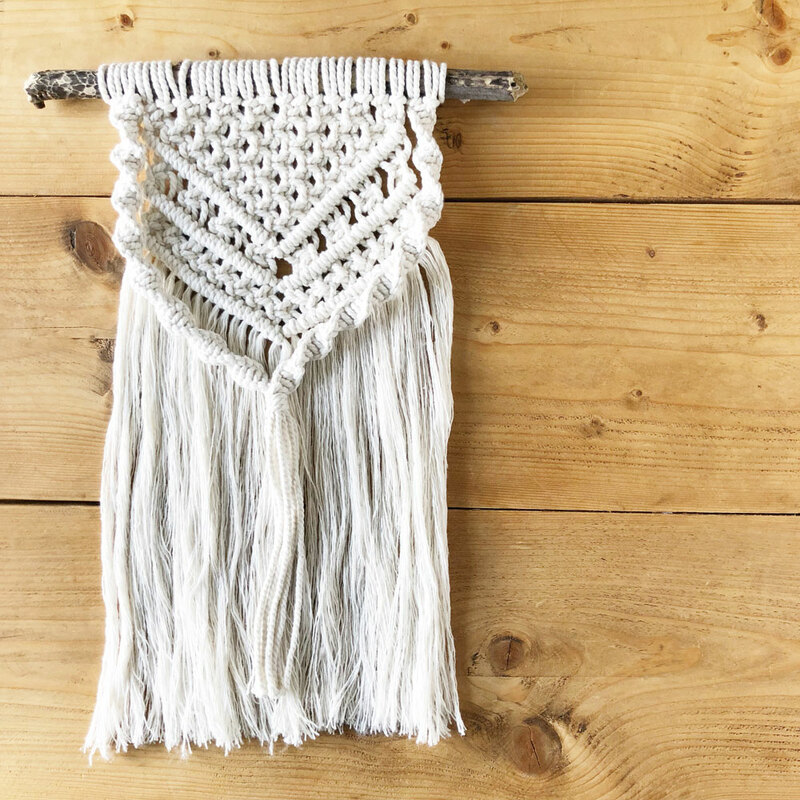 Next I made a macramé wall hanging with Sam from Pretty Little Knots and I may be a little bit hooked! It was so satisfying to turn lengths of cord into a beautiful piece of art with a few knots repeated in a pattern. I also bought a plant hanger kit from Sam so I can have a go on my own at home. 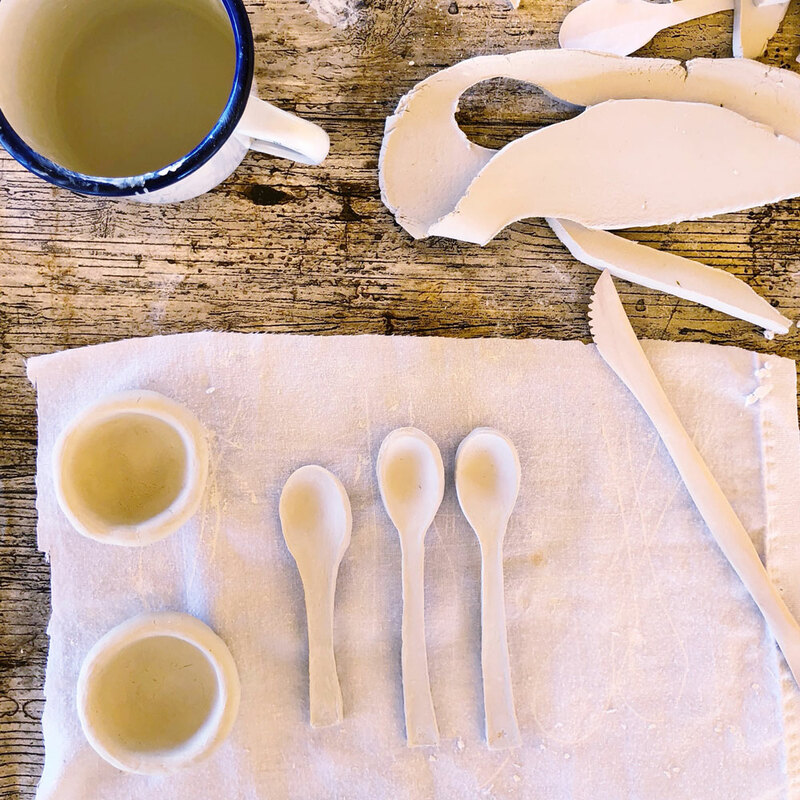 And before we disbanded to go home I had a lovely time making two little pinch pots and spoons in Katie Robbins' ceramic workshop. They're with Katie now being fired and glazed and I'm so excited to see how they turn out when she posts them to me! 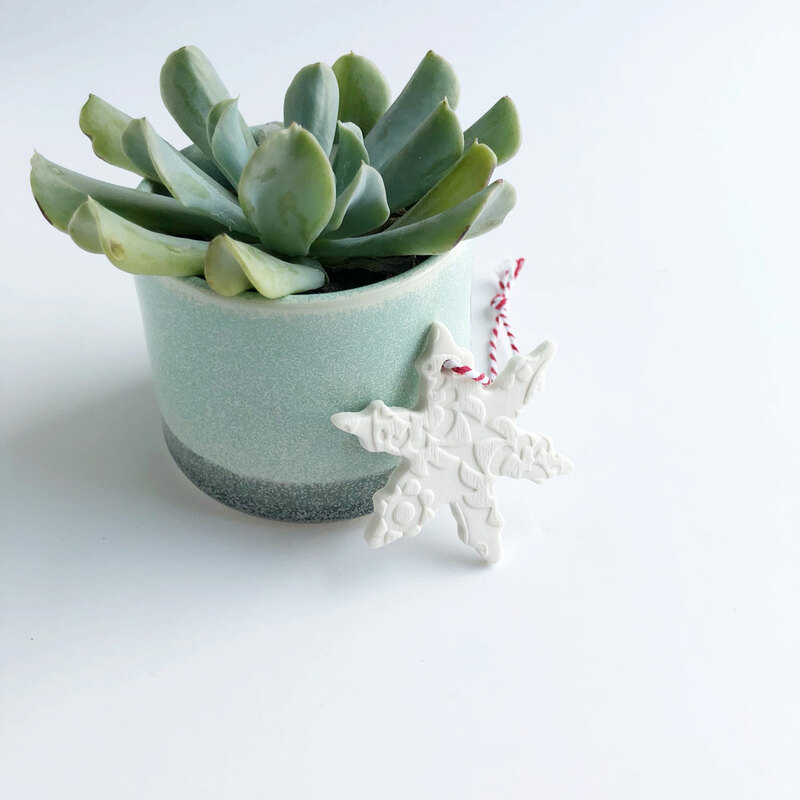 I also bought this beautiful little planter from Katie and she made everyone at the Festival a snowflake decoration to take home which I will hang on my Christmas tree for many years to come. It was wonderful to spend this time with such lovely, friendly women in the warm (literally and metaphorically), supportive and relaxing atmosphere that Natasha has worked so hard to create on her farm. Some of those attending had travelled from Germany, Denmark and Ireland, and several had returned to the Festival from last year bringing with them friends, sisters or mums this year. And the food we ate, most of which was grown on the farm, was so delicious! 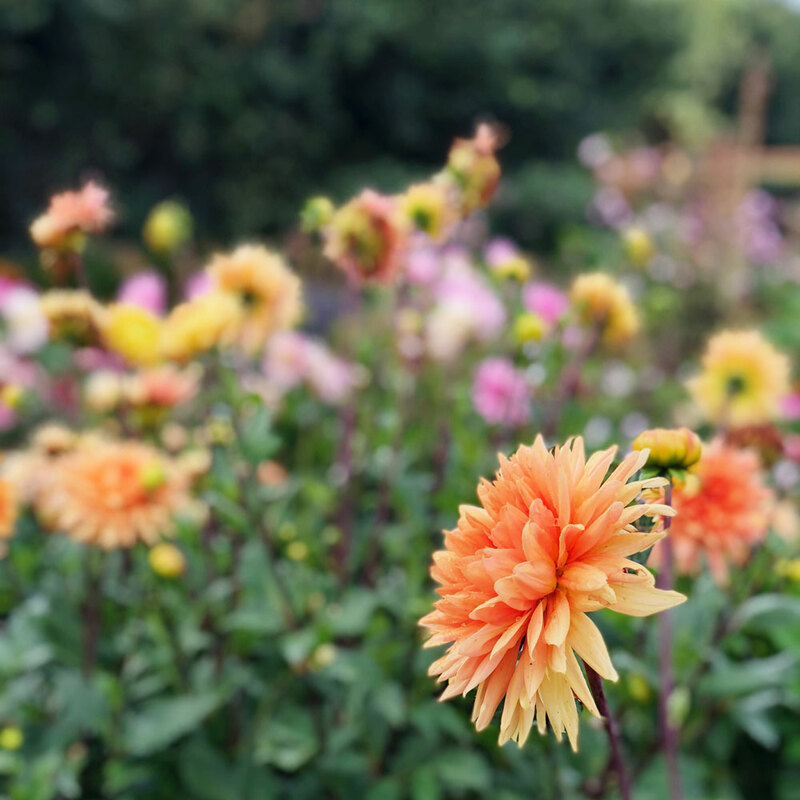 I started each morning with a walk around the vegetable beds and a quiet few moments sitting in the flower garden. Throughout the weekend people were crafting in their tents, on benches under the canopy, on deckchairs in the sunshine or round the fire, and chatting about what they loved to make, who and what they found inspiring, sharing ideas and tips and showing what they'd made in the workshops. 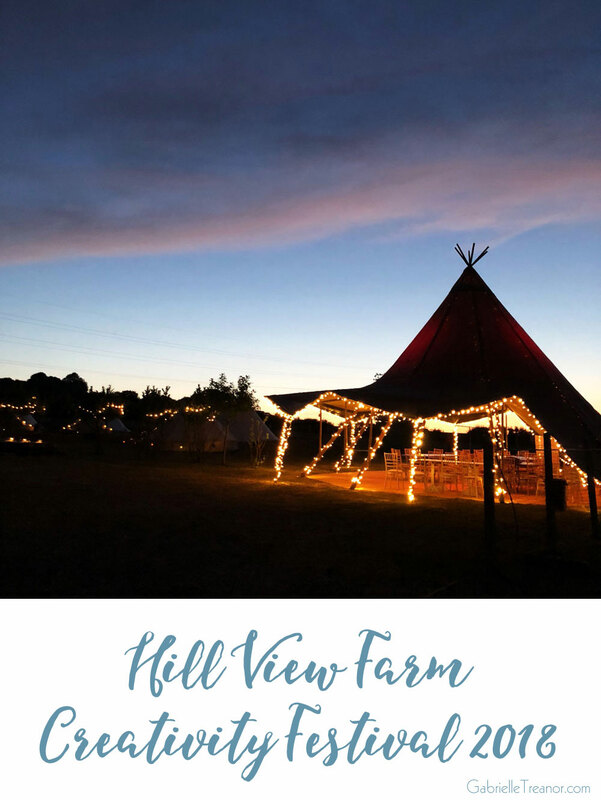 The Hill View Farm Creativity Festival was a joy of a weekend and I think Natasha is planning to host it again in August next year so follow her on Instagram as @hillviewfarmmoments and check out the website if you're interested in finding out more. It really was a great weekend, Gabrielle, and as you know, your talk certainly struck a chord with me. I have only recently starting investigating meditation and mindfulness in any serious kind of way, and a creative weekend kicked off by a positive, self-care talk was perfect timing. Although I’m an avid crafter and love to buy yarn, I elected not to buy yarn this weekend but instead chose to purchase a pair of silver sycamore earrings, handcrafted by Kate from Grace and Flora. The yarn, although lovely, would’ve simply been added to my stash. Now, however, I have something really quite special and unique (which I can wear every day) to remind me of all the thoughts and positive ideas I gleaned during the course of the weekend. Wonderful!